Marketing Leads Provider: ALClists.com - Business Leads and Sales Leads including MLM Leads. Database Systems Corp. (DSC) provides technology and products for marketing and sales organizations. Our advanced call center phone system lets you communicate with your customers, distributors, and agents. The following organization provides leads to marketing and sales organizations. Information presented on this page was provided by the company or is public information published on the company's website. Database Systems Corp. does not endorse these services nor warrant the accuracy of this information. For current information, please visit the company's website listed below. ALC is leading the charge of the new breed of marketing information service providers. We're initiating many of the innovative practices shaping direct marketing today -- such as ALClists.com, the industry''s largest online data delivery system, offering access to millions of prospects at the click of a mouse. ALC clients include the leaders in virtually every category of direct marketing which includes book, magazine and newsletter publishers; retail and catalog marketers; consumer, business-to-business and Internet companies; financial institutions, the telcos, and the utilities; promoters of products and services for kids and seniors; seminars, non-profits and more! Whatever your market, we've got it covered. We believe our people are the best in the business. We are well-trained, experienced professionals who understand what it means "to be in service." ALC employees strive to provide strategic marketing solutions that go well beyond our clients' expectations. Find out who we are-and who's best-suited to help you achieve your marketing objectives. Headquartered in Princeton New Jersey, ALC also has regional offices in New York City, New England, Dallas, and California. Under consideration are additional sales offices in Connecticut, Miami, Chicago, Denver, and Los Angeles. We believe a nationwide regional network is the best way for us to maintain intimate contact with our clients and keep our finger on the pulse of the industry. 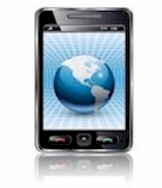 Database Systems Corp. offers two different marketing phone systems. The PACER series supports digital T1 phone lines while the WIZARD phone system supports analog phone lines. These systems are both outbound marketing phone systems that also can process inbound marketing calls. Calls are either initiated by the phone system or accepted from the outside and distributed in an intelligent fashion within your marketing representatives. The PACER and WIZARD include ACD and IVR components, plus call recording capability. Using industry standard components, our phone system has features and functions that can only be found in large scale PBX�s, but at a fraction of the cost. And these phones have predictive dialing capability that cannot be found in most of larger telemarketing equipment. The PACER and WIZARD phone system can connect calls to your employees working at home or in a local or remote sales office.